There are currently 91,473 users on this website. 2014 quarter the beads are right up against the edge of the rim on both sides. 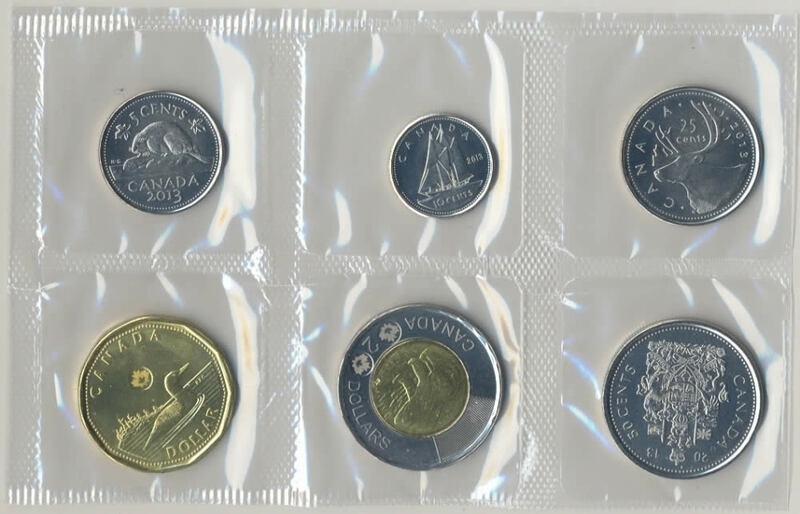 I have checked a pile of these 2014 and this is the only one so far. I have seen. Weird. I would love to hear the explanation for that 2014. Can we see the rim on that one Rocky? I meant the rim edge, the reeding..sorry I should have stated that. 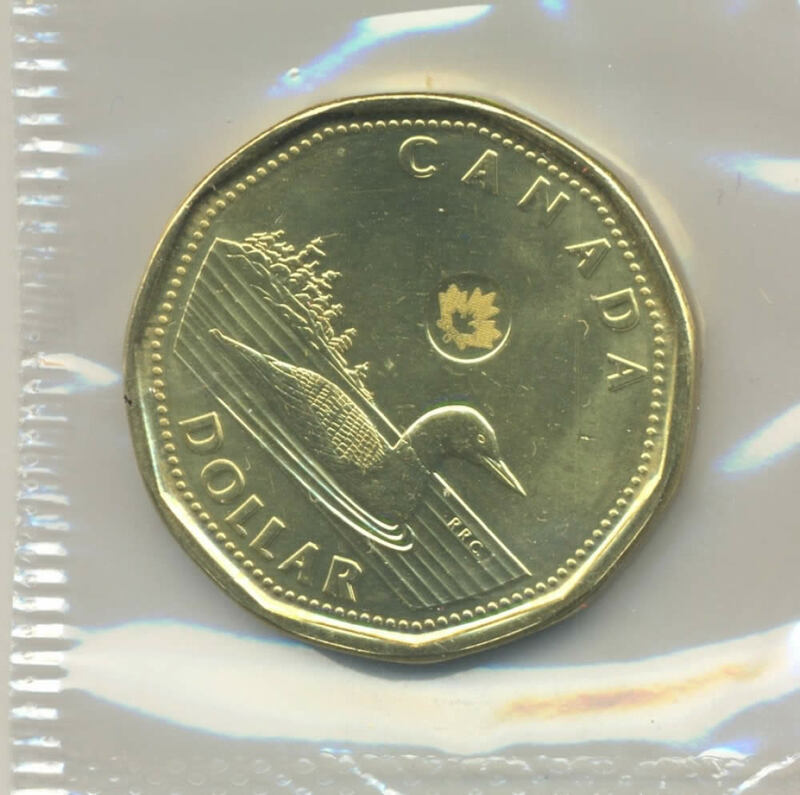 I placed a 2014 25cent on a 2014 twoonie,no match. Didn't have a Fifty cent handy. 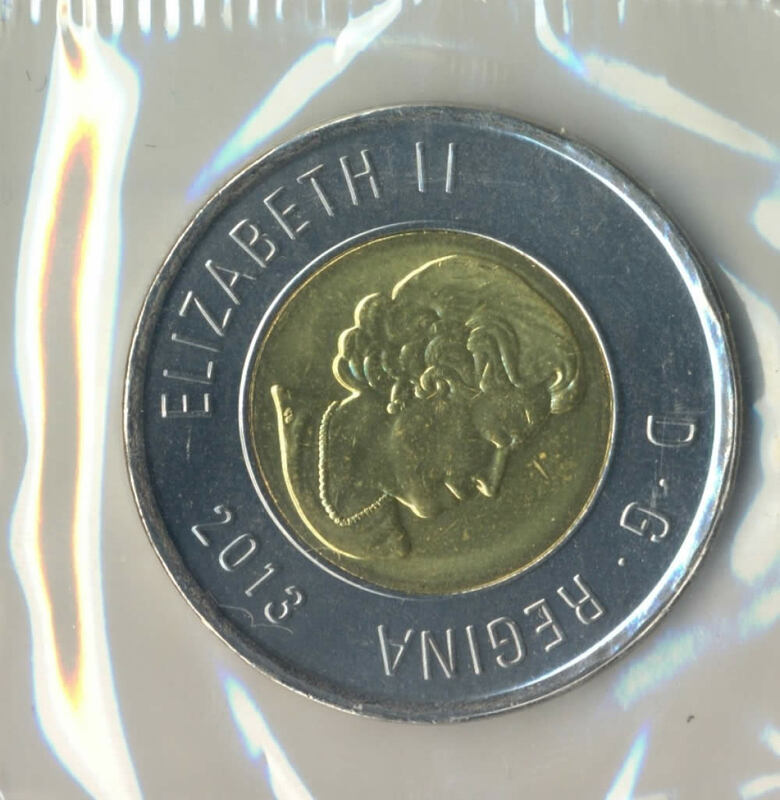 An interesting coin. Nice find Rocky! JimmyD I'm not sure that's a legit error. 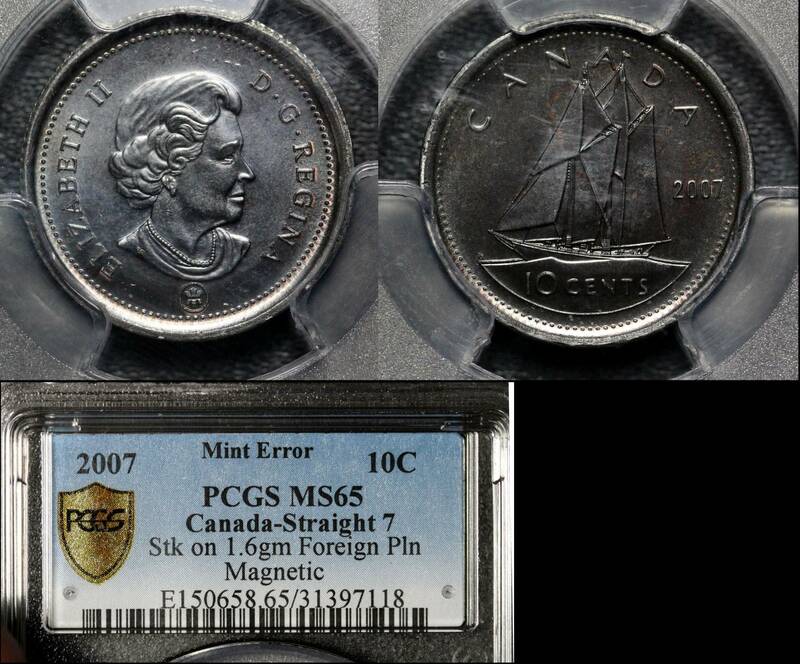 The plating on these MPPS coins can be removed electrochemically. rocky that toonie is interesting. 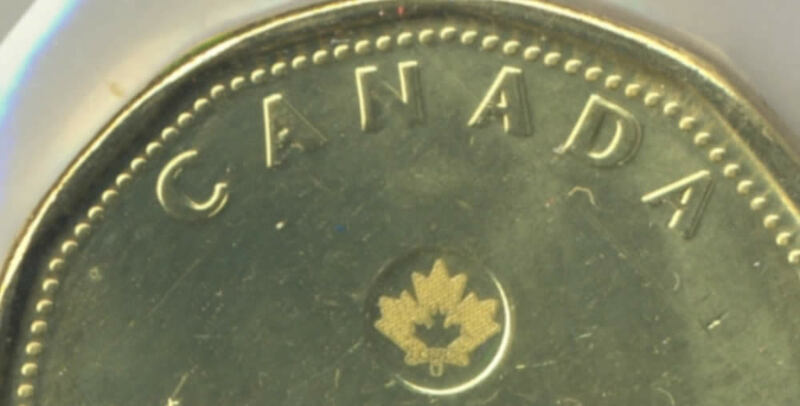 It looks like it might be a doubled die from the notching, but at the same time looks MD at some places. Maybe start a new thread and ask for the doubled die experts? 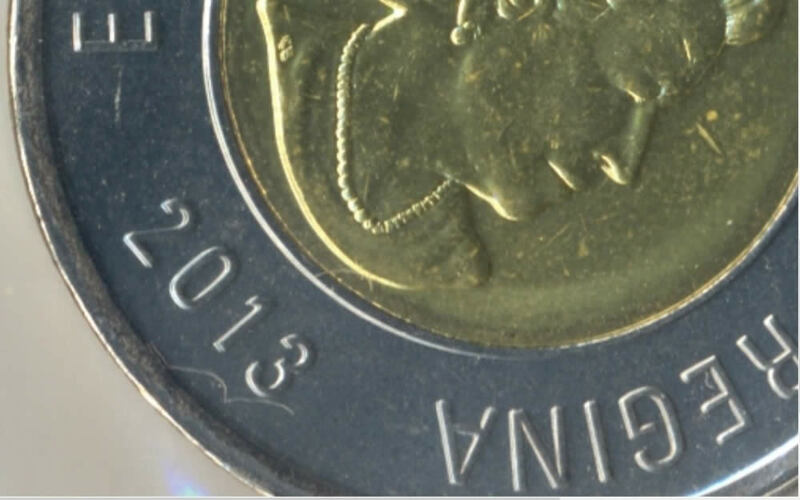 I'll keep an eye out for another one like it, IF I can find a 2013 toonie in my change. Offset Hub Doubling", good eye on the notching Slurexe97. I see this set for sale for $50 at Imaginaire. 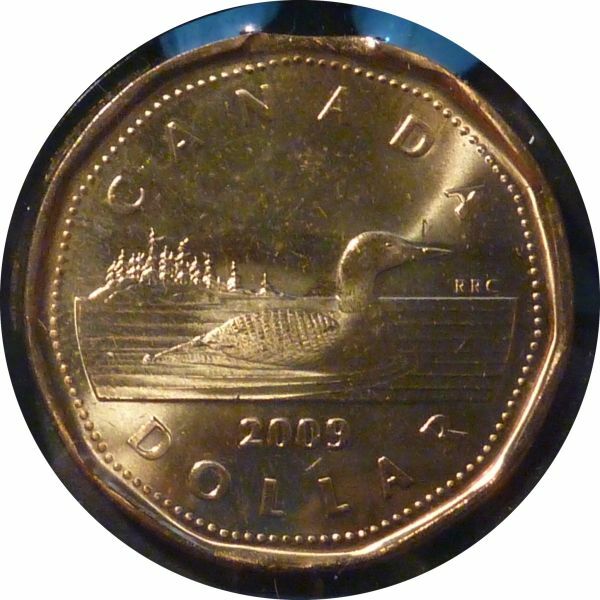 A scarce error for the series, a 2009 clipped loon dollar. 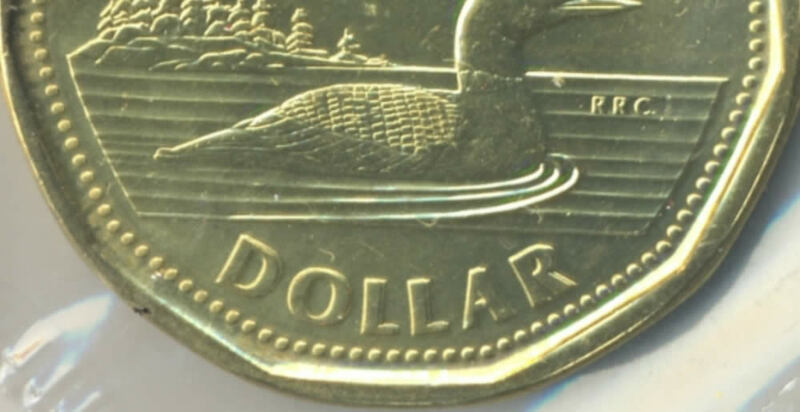 Found only a couple of these in the past, its the leg of the A in REGINA.